The Office of Government Commerce has published two Gateway reviews - independent assessments - of the ID Cards scheme following a four-year battle to keep them secret. The move follows a ruling by the Information Tribunal, which demolished the OGC's arguments for hiding the reviews in a landmark ruling on 19 February. The decision marks the first time the OGC has published Gateway reviews, previously regarded as too sensitive to place in the public domain. 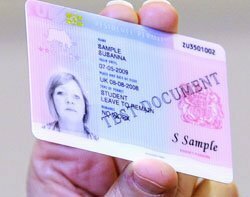 Computer Weekly has campaigned for Gateway reviews to be published, and particularly for the two early assessments on the ID Cards scheme. The OGC says that its decision to release the reviews was in part because of the "exceptional nature of the public interest in the ID cards programme, combined with the age of the reports in question". The two "Gate 0" reviews were carried out in 2003 and 2004. Other requests under the Freedom of Information Act for Gateway reviews of, for instance, the NHS IT programme - NPfIT - have been on hold pending a decision over the release of the ID Cards Gateway reviews. It may be more difficult for OGC lawyers to argue for continued secrecy on the results of these reviews. The OGC, however, has pointed out that neither the Information Tribunal nor the Information Commissioner have ever argued that all Gateway reviews should be disclosed. Government departments have to consider each request under the Freedom of Information Act on its merits. Gateway reviews are carried out on a confidential basis which, says the OGC, allows interviewees to speak frankly and openly to reviewers about any problems facing the project or programme. The OGC said today [19 March 2009] that though it is releasing two of the Gateway reviews on ID Cards it will continue to operate a Ministry of Justice "working assumption" which gives government departments legal arguments to cite in keeping the reviews secret. The OGC said: "It is felt that general disclosure of key Gateway information would undermine its effectiveness, and the Ministry of Justice's Working Assumption looks to balance the interests of transparency with safeguarding the integrity of the process. "However, OGC accepts the Information Tribunal's decision that the exceptional nature of the public interest in the ID cards programme, combined with the age of the reports in question, is such that these specific reports should be disclosed, without affecting the Ministry of Justice's Working Assumption which will continue to govern OGC's approach to the disclosure of Gateway Reports under FOI." Nigel Smith, chief executive of the OGC, said: "OGC's approach to FOI will continue to aim to safeguard the interests of transparency whilst maintaining the integrity of the Gateway process. "Introduced in 2001 as a mandatory tool for central Government, OGC Gateway reviews have made a real contribution to the successful delivery of public services and to date over 2,000 reviews have been completed. "The OGC Gateway process provides a valuable, independent perspective on issues facing the internal team managing the project or programme reviewed, and an external challenge to the robustness of plans and processes. "Last year, 96% of those responsible for government's largest programmes and projects surveyed revealed the reviews already had a positive impact in their department's plans to achieve a successful outcome. "Our commitment to transparency and public accountability is evident in the emphasis we have placed on publishing the results of a wide range of OGC activities, such as the Procurement Capability Reviews and delivery plans on sustainable procurement and operations on the government estate. "Gateway reviews on their own cannot guarantee successful delivery; but they form one very effective part of an overall assurance framework which is proving very successful in improving delivery confidence." Key findings of the 'secret' ID cards Gateway reviews FOI release: see Tony Collins' blog post.